Comedy for a Cause. Join us for a night of laughs, drinks and fun! Comedy for a Cause, featuring Los Angeles comedian Ernie G, previously seen on HBO and Comedy Central! Doors open at 7:30pm, show starts at 8! First drink is included in ticket price, cash bar and concessions will be available. 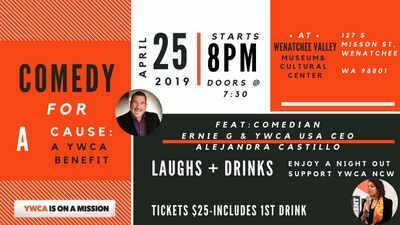 We will see you for a night to remember at Comedy for a Cause! Get more details and your tickets by clicking HERE!